Droid Factory Box Set - Star Wars: The Force Awakens for Just $22.46! You are here: Home / Great Deals / Christmas Deals / Droid Factory Box Set – Star Wars: The Force Awakens Just $22.46! Droid Factory Box Set – Star Wars: The Force Awakens Just $22.46! Head over to the DisneyStore.com and get the Droid Factory Box Set – Star Wars: The Force Awakens! These are priced at $29.95. Use promo code PARK25 to get an extra 25% Off (of Disney Parks Authentic Merchandise)! Final Price is Just $22.46! Special promo ends 12/6! Amazon is selling these for $42.90! Meet the four new Astromech droids featured in Star Wars: The Force Awakens. Each droid has their own unique personality and color that make a useful addition to your starship! 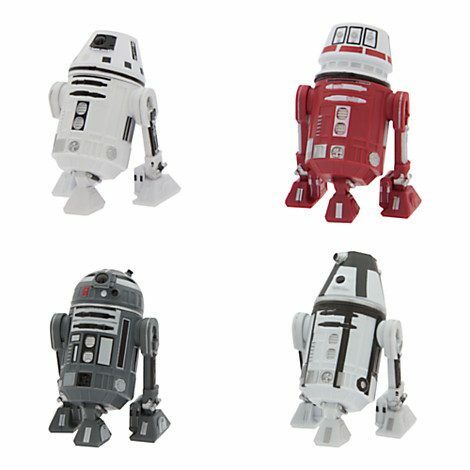 Includes Astromech droids R0-4L0, R2-Q2, R4-M9, and R5-X3!